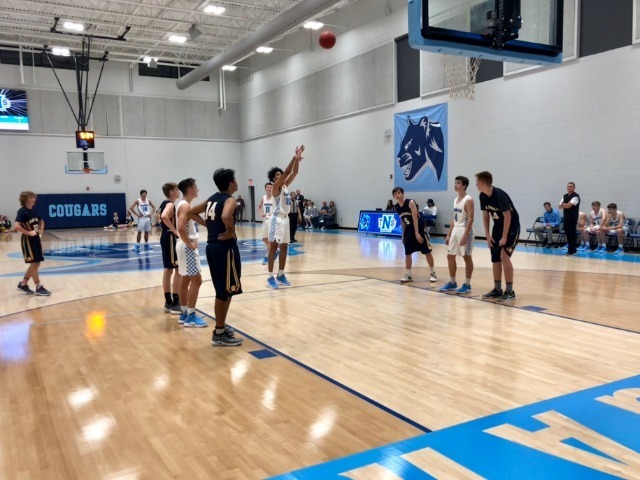 The Varsity Boys Basketball Team won in impressive style vs cross-town rival Haas Hall, 72-26. The gym was packed with fans from both teams making for an exciting atmosphere. The Cougars were on top from the beginning and never looked back as they lead the entire game. They play Btuno-Pyatt at home this Thursday, October 25th at 6pm.